Given the technical nature of software testing, QA training is one of the best ways to improve your skills and stand out from the crowd of testers. Some of the ways you can participate in QA training courses include online classes, certifications, and onsite programs at educational institutions. ISTQB certification is a globally recognized software testing qualification which covers a range of levels from foundation to expert. The most well known QA training certification comes from the International Software Testing Qualifications Board, better known as ISTQB. 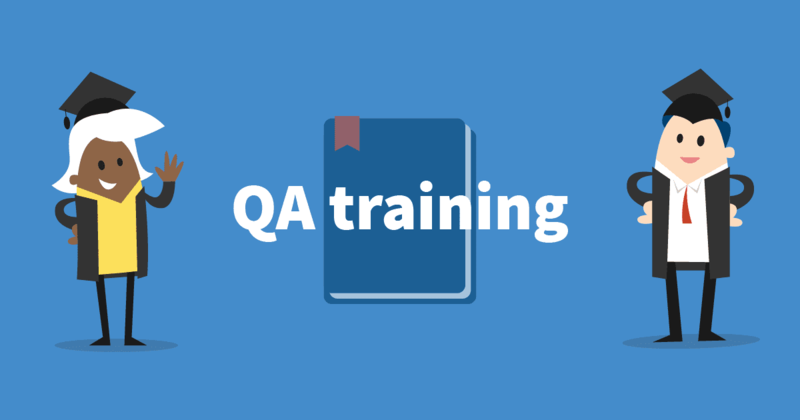 While a certification is a great achievement and be a nice mark on the resume, there are other opportunities for QA training and education as well. Websites like Udemy and LinkedIn Learning offer online classes that you can take on your own time, at your own speed. If you’re more of a hands-on learner, many software testing conferences and events host interactive workshops to learn from peers in the industry. This type of QA trainging can often be just as valuable as a formal certificate.